Sole Yoga Holidays is overjoyed to collaborate with The Modern Jetsetter on a very special alpine yoga and wellness holiday in the exquisite mountain town of Sölden, Austria, August 12-18, 2018. Sölden is located in western Austria, within the state of Tyrol and home to the country’s second highest mountain – Wildespitze – reaching to the sky at over 12,000 feet. The town is surrounded by fragrant and flowering alpine meadows and clean mountain air. And for all those James Bond fans the film Spectre was also shot here. Our retreat takes place at a gorgeous resort, where nature is right outside our door. 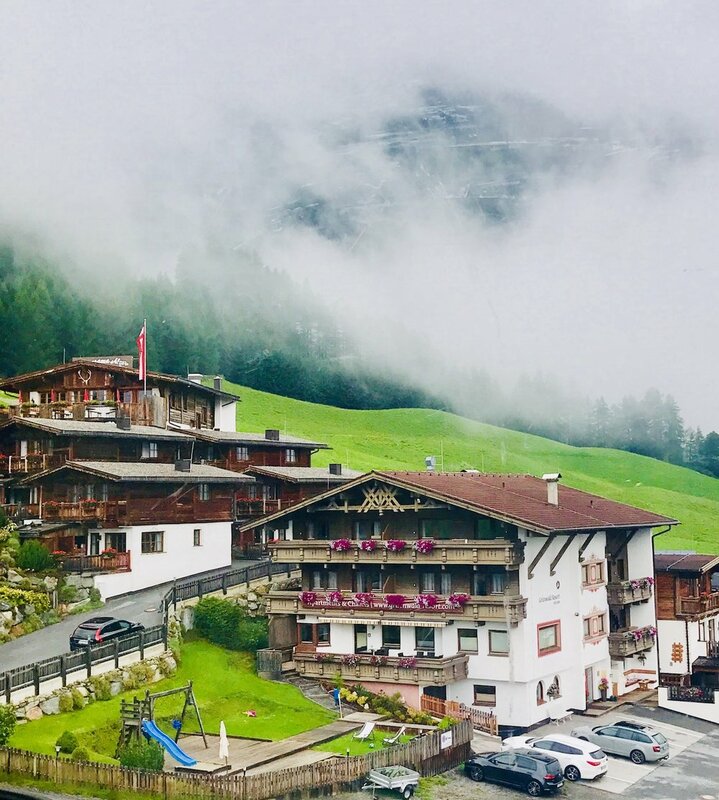 We will be in the most ideal location above the Sölden village center and approximately 1,500 m above sea level so it will be peaceful and quiet for our special holiday. From our sunny plateau, we will have a picturesque and panoramic view of Sölden and on the Nederkogl peak (3,168 m). 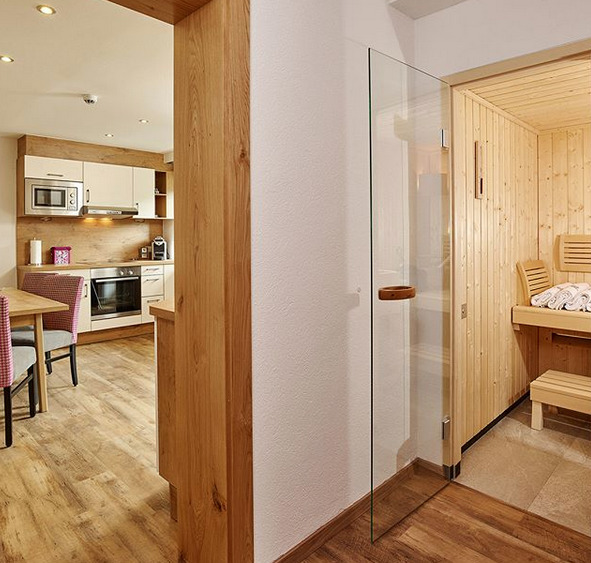 Our chalet with private bedrooms and baths is also fully equipped with a kitchen, living room, balconies and verandas with sensational views and our own private sauna to soak in post-yoga and hiking! A delicious and catered breakfast is included daily at our wonderful location. We will be served fresh fruits, pastries, cheeses, eggs, juices and more. You can choose to eat inside in our private dining area or we can take our yummy meal outside for spectacular views while we dine. 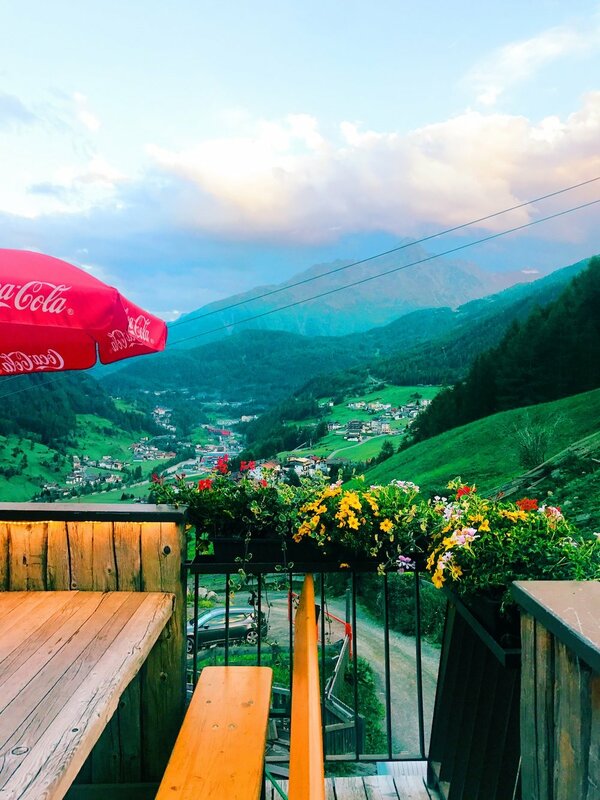 One morning we will head to a very special hut in the mountains for our breakfast filled with traditional Austrian flavors and the freshest eggs and milk you will ever have! Three delicious and hearty dinners are included as part of the package. You will be captured by the time-honored Tyrolean dishes and international fares. We can’t wait to try Kasspatzln, Austria’s heavenly version of mac and cheese! Please note: we will have plenty of vegetarian options, but this retreat will be challenging for those practicing a strict vegan diet. Twice per day we will practice yoga at the lodge or at the top of the mountain surrounded by the freshest mountain air. Your host, Shari will guide you through a vinyasa flow and during the week we will include a special restorative session. As always, Shari will listen to what the group needs and adjust accordingly for the best yoga experience! 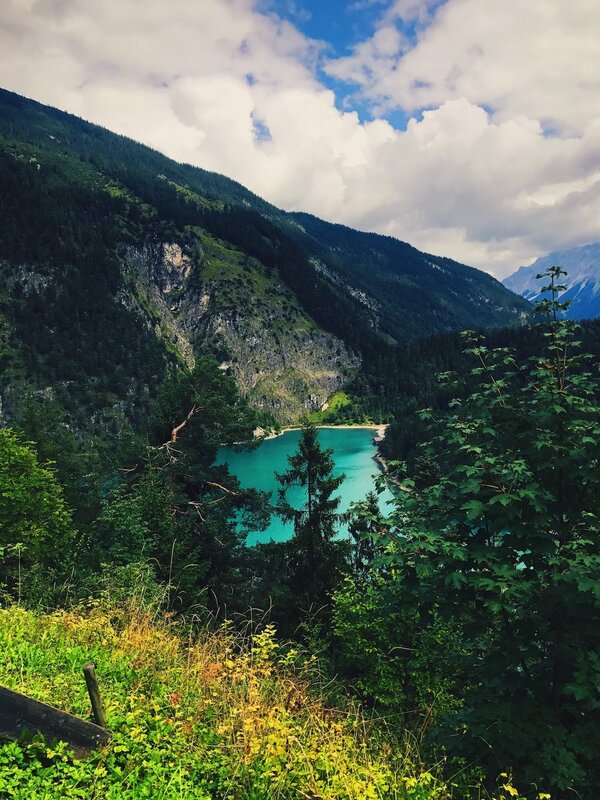 WATERFALL & NATURE HIKE: Our host, Kortney of The Modern Jetsetter will lead us on a fairytale hike along picture-book trails, with views of idyllic pasturelands and crystal clear Alpine lakes and the most stunning waterfalls cascading from the mountains. It will be an all-levels, leisurely hike so we can take in all of the gorgeous scenery. THERMAL SPA DAY & LUNCH: We will head to a gorgeous spa where we can soak all of our cares away! It is wellness at the highest level surrounded by a stunning mountain backdrop. We will spend 3 hours in the spa followed by a heavenly buffet and music. SUNSET PICNIC & POETRY EXCURSION: Time to twirl like Julie Andrews in the Sound of Music as we traverse over green meadows and enjoy a glorious picnic of local cheese, bread, fruit and wine. As we watch the sunset, we will all partake in a special poetry reading using the surrounding beauty as our inspiration. **Transportation included day of/departure day from Ötztal train station. Plan on arrival appx. 3pm on Aug 12. Other options will be provided outside of pick-up and extra fees may apply. Please contact us with any questions. You can download information here on travel, etc. Travel insurance is always recommended for any retreat. PLEASE consult your travel agent for the best policy. Upon booking, other information will be provided including packing lists, and other important info on Austria.